The 2019 Mustang Bullitt is making waves, accelerating us into the future with its exceptional power and performance. In April, the vehicle was made available to order, and Mustang enthusiasts have been flocking to dealerships ever since. The 2019 Ford Mustang is a new Bullitt-edition model, predicated on the famous Mustang GT that appeared in the 1968 movie Bullitt. 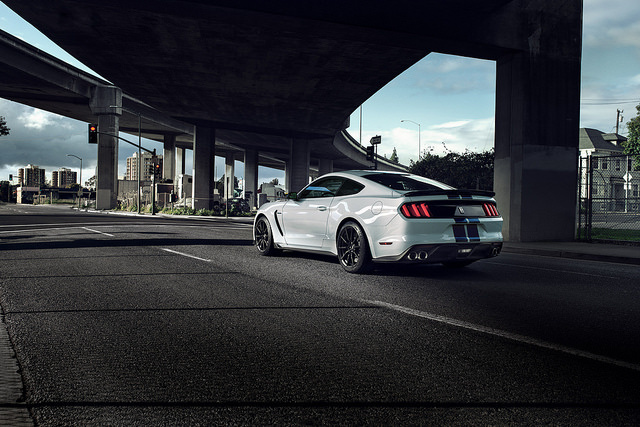 At 50 years old, the car still impresses, and the modern yet classic design of the new edition is sure to draw new Mustang owners as well as those who remember the film fondly. The film featured a 10-minute car-chase scene with the Mustang 390 GT at the center of it, cementing it as one of the most iconic vehicles in film history. It also helps that within the film, the cool Steve McQueen drove this Mustang around San Francisco’s streets. The new Ford Mustang Bullitt offers ferocious power that is not for the faint at heart. It comes with a standard V8 engine that delivers a whopping 480 horsepower and 420 lb-ft of torque. Its engine — along with its other advanced equipment, including the Mustang Shelby GT350’s intake manifold — allow for the 2019 Mustang Bullitt to hit 163 mph. Its Dark Highland Green exterior color is another nod to film, looking both retro and trendy at the same time. Learn more about the upcoming 2019 Ford Mustang at Sanderson Ford. To celebrate the Ford Mustang’s rich legacy and its place as an icon in American history, Ford has launched the “Personalize Your Pony” experience for Facebook. This unique experience allows users to make custom pony art on their Facebook pages; they can alter color, blending, density, and more. But the designs aren’t just to share with friends and family online. If you are proud of your pony design, you can have it printed out as a poster or have it added to merchandise like shirts, mugs, and phone cases. 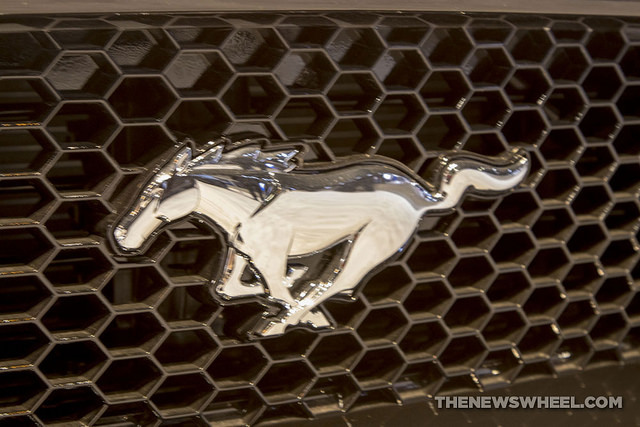 If you drive a late model year Mustang (2015 or newer), you can even order a custom grille badge featuring pony art for your Mustang. If your artwork is especially eye-catching, it could wind up on a billboard in a major U.S. city, starting this month and lasting through June. You can try your hand at the “Personalize Your Pony” experience by searching “Ford Mustang” on Facebook or visiting this link. If you design pony art you are proud of, please share it with Sanderson Ford on Facebook. Be sure to give us a “like” on our Facebook site here. When people talk about iconic American sports cars, some might mention the Chevy Camaro or the Dodge Challenger. None of them come close to the reputation and performance prowess of the Ford Mustang, however. Last year, in 2017, the Mustang managed to stay one step ahead of the competition with the advent of the refreshed 2018 version. Ford Mustang sales continued to thrive amidst an industry-wide slump in sports car sales, thanks to the revamped 5.0-liter V8 engine, which enabled it to achieve the record of the fastest Mustang model ever built. While the Ford Mustang itself saw a decline in sales between 2016 and 2017, it still stayed afloat when considering the industry’s overall sports car sales. For example, sales stats for the Chevy Camaro experienced a 6.6% drop; the brand sold 14,000 fewer vehicles than the Mustang. Meanwhile, the Dodge Challenger sold over 17,000 less units than the Mustang. In total, the Ford Mustang still managed to sell a whopping 81,866 vehicles in 2017. Ford Mustang sales have taken a strong stance at the top of the industry ever since Ford introduced the next-generation model in 2014. Discover what makes the Ford Mustang so great for yourself, when you visit Sanderson Ford for a test drive. The Mustang is a classic pony car, offering raw power, bold design, and quality engineering. The new 2018 Ford Mustang carries on the long legacy of impressive performance and styling, and it also adds a few features that set it apart from the competition. That’s why we at Sanderson Ford have written a blog about why you should buy the 2018 Mustang. The Mustang is also comfortable to maneuver, with impressive handling and driving dynamics that should please the pickiest of drivers. There’s a wide range of performance upgrades to improve driving, such as the GT Performance Package that comes with larger wheels, Brembo® braking, and a Torsen limited-slip differential. You can even opt for a customizable digital instrument cluster to ensure you always get important info behind the wheel. Fresh technology and a comfortable cabin are additional benefits that you can own when you drive home this beast. 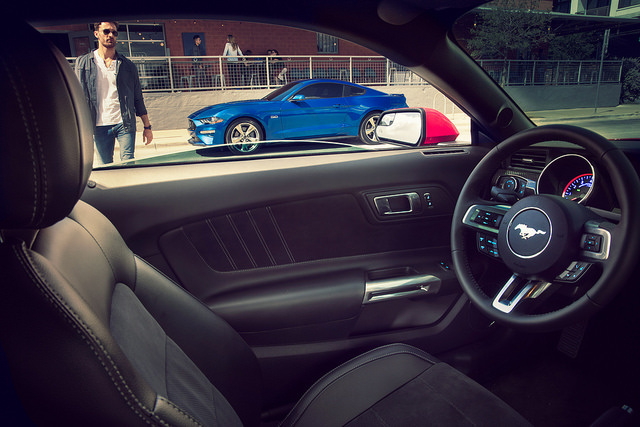 Unlike previous versions, the 2018 Mustang has smartphone connectivity, an optional 4G LTE Wi-Fi hotspot, and driver assist safety technology. You can also select chrome trim and premium materials for the seats. 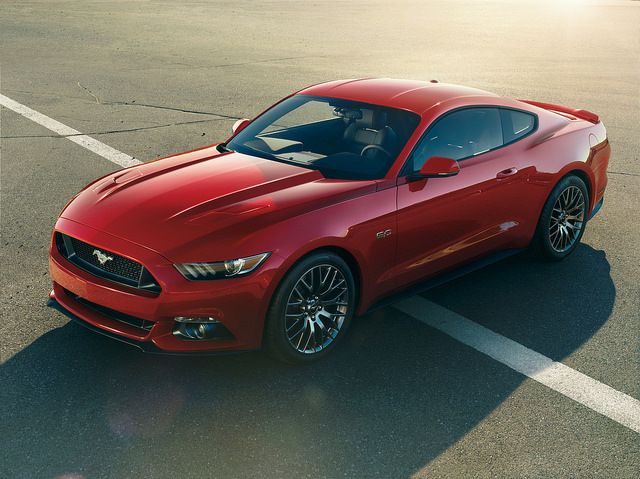 For more reasons to love the new Mustang, stop by Sanderson Ford for a test drive today. *EPA estimated fuel economy. Actual mileage may vary. Use for comparison only. 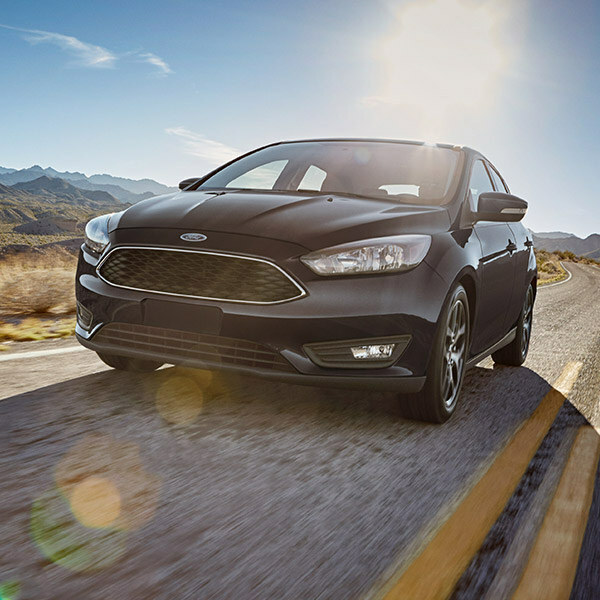 At Sanderson Ford, we’re proud to be associated with one of the top brands in the industry. Not only does Ford craft some of the finest cars, trucks, and SUVs on the market, but the company also invests in local communities. In fact, Ford recently expanded disaster relief efforts in Puerto Rico by investing more than $1.2 million in food and community aid. Even though it’s already 2018, many Puerto Ricans are still recovering from the devastating effects of Hurricane Maria, which happened late last year. 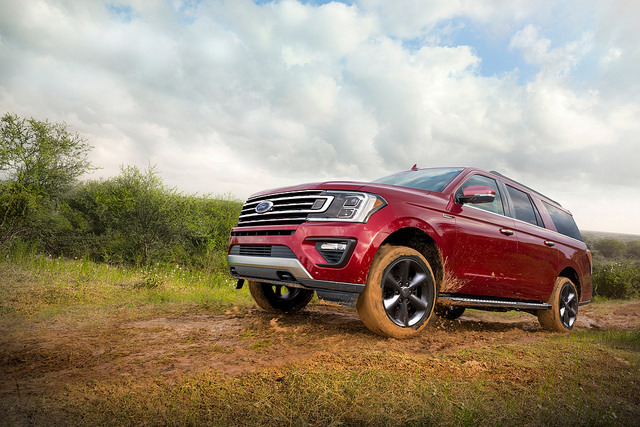 According to Ford, a large portion of the $1.2 million it has invested in aid will go to mobile community centers across the island to provide easier access to food, resources, and services. The company is also donating money to fund educational grants, Transit Connect cargo vans, an F-150, water filters, and over 10,000 new books to replace those ruined by water damage. Considering that Hurricane Maria was the worst natural disaster that Puerto Rico has on record, Ford’s generous initiative for early 2018 will provide the island significant relief as it rebuilds. Many people find themselves making steadfast promises to themselves in January only to falter on them come February. Arm yourself with these tips to help you stick to your ambitions all year long. While it’s good to set high standards for yourself, if you make goals that are too far-fetched you’ll be hard-pressed to reach them. Instead, start with small goals and add more each month. An effective way of staying on track with your goals is to talk about your progress regularly with friends and/or family members. You can also keep a journal or online blog that records your experience, while holding you accountable to your resolutions. Sometimes people go into New Year’s resolutions with an all-or-nothing attitude. But you have to give yourself some wiggle room and plenty of forgiveness to succeed in the long-run. Remind yourself that a perfect record is not what a resolution is about. If you slip up, start again the next day. There’s no need to give up and wait until the next New Year to start making positive life changes. 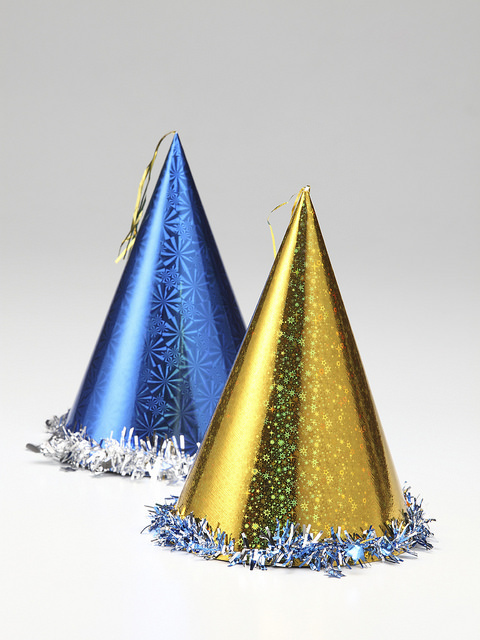 Happy New Year from all of us here at Sanderson Ford! And good luck on your goals for 2018.
Financing a vehicle can be a confusing, and sometimes stressful, experience. 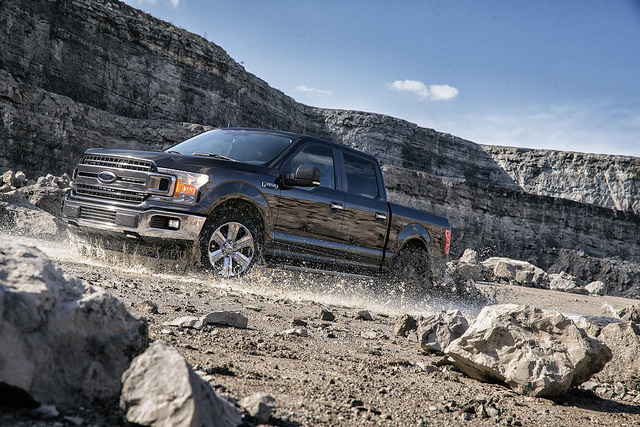 At Sanderson Ford, we want you to feel confident every step of the way. Feel free to call us with any of your financing questions. Here are some common auto loan terms that will help familiarize you with the financing process. This is the cost of a vehicle at its most basic level, before you add on any extra options. These are programs designed by the manufacturer to encourage dealers to promote slow-selling vehicles. Once the manufacturer’s warranty expires, an extended warranty will kick in to cover the cost of any maintenance or repairs on a vehicle. Extended warranties can be purchased throughout the first year of ownership. Like the dealer incentive, a rebate is put forth by the manufacturer to encourage the sales of a specific vehicle. It often involves a price reduction in the form of a money back program. 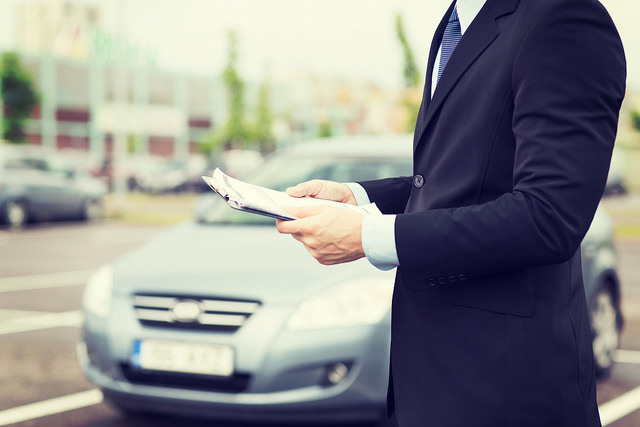 When buying a new car, you have the option to trade in your old car as part of the payment for a new one. The amount of money that the dealer will take off of the new vehicle’s price in exchange for your old car is called the trade-in value. Still have questions about these terms or other financing situations? Call us here at Sanderson Ford; we’ll be glad to assist.